Living a Fit and Full Life: Soothe Your Skin with SheaMoisture's Matcha Green Tea & Probiotics Skincare Line! 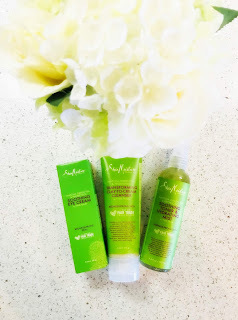 Soothe Your Skin with SheaMoisture's Matcha Green Tea & Probiotics Skincare Line! We're proud to make cruelty-free hair & skin care made with natural, certified and fair trade ingredients and love! Good hair days start with great hair products. We make 150+ for every kind of normal. Transform your cleansing routine with this rich, comforting clay-to-cream cleanser. A blend of antioxidant-rich Matcha Green Tea and good-for-you Probiotics restores balance and soothes redness-prone skin.This transformative cleanser will leave your skin feeling luxuriously pure, soft, and supple. This concentrated facial toner with antioxidant rich Matcha Green Tea helps balance redness-prone skin without stripping the skin. Good-for-you Probiotics restore balance to the skin to minimize the effects that lead to redness. Skin is left smooth and balanced. Re-energize the delicate under eye area with this lightweight, color-correcting eye cream. This formula, made with antixoidant-rich Matcha Green Tea and skin-balancing Probiotics, minimizes the look of dark circles. Instantly cools and depuffs the under eye area with a refreshing metal-tip applicator. Skin around the eyes is left softer, smoother, and brighter-looking. Soothe your skin with SheaMoisture's Matcha Green Tea & Probiotics skincare line! I've actually never tried any of SheaMoisture's products before so I wasn't quite sure what to expect. I'm actually over the moon thrilled with how well these products worked for me and truly think you'll love them too! SheaMoisture's MATCHA GREEN TEA & PROBIOTICS TRANSFORMING CLAY-TO-CREAM CLEANSER is amazing! It's a rich and creamy clay to cream cleanser that is super fun to use. I normally wouldn't say that my skin had any redness but lately it's been pretty irritated due to the cooler weather. This cleanser not only removes every trace of dirt, makeup and excess oil but it leaves my skin feeling soft and clean all without feeling dried out. SheaMoisture's MATCHA GREEN TEA & PROBIOTICS SOOTHING TONER & HYDRATING MIST is my new favorite toner! It's extremely easy to use and seems to calm and hydrate my skin instantly leaving it balanced and happy. I also love how hydrated it leaves my skin! MATCHA GREEN TEA & PROBIOTICS SOOTHING EYE CREAM from SheaMoisture is amazing! As a mom of four, I have dark circles under my eyes every single morning so a good eye cream is a must. This one is easy to use and instantly soothes my eye area while helping to depuff and reduce my dark under eye circles. It's my secret weapon to looking bright eyed and bushy tailed when I feel quite the opposite. SheaMoisture's Matcha Green Tea & Probiotics skincare line is absolutely incredible and definitely worth trying! 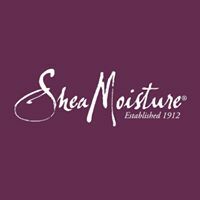 Click HERE to find a store near you that sells SheaMoisture! Click HERE to learn more about SheaMoisture! Follow SheaMoisture on social media! Clean Up and Get Fresh with Dial! Get Smooth with eos evolution of smooth!